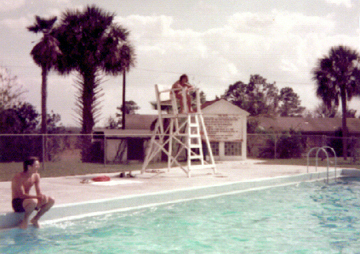 A photo of the pool from 1975. Is that John Eaton in the lifeguard chair? Watkins Hall, which housed the art classroom along with two other classrooms is seen on the far left. Photo sent in by Art Copeland, class of 1976.